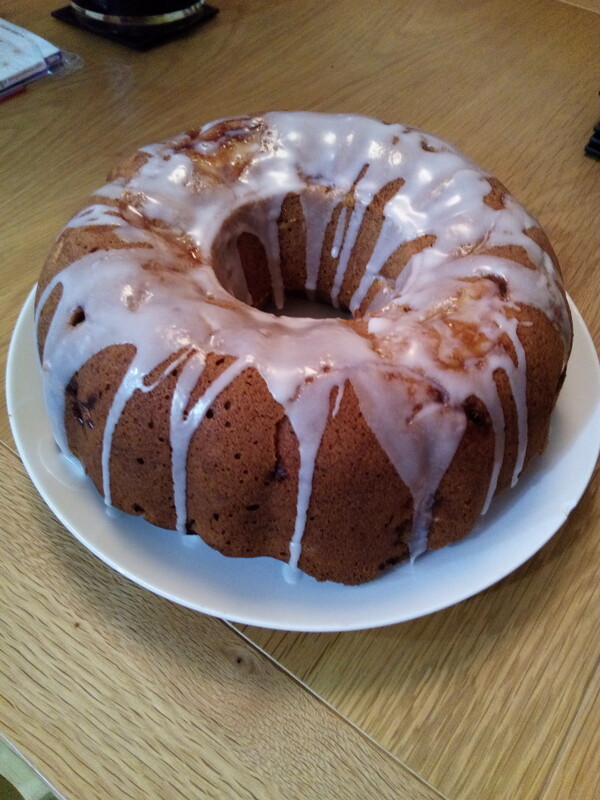 So yesterday was National Bundt Day and I decided to get in on the Bundt action. After perusing my Pinterest board ‘All about that bundt…’ and considering a carrot cake Bundt or John Whaite’s fig, pecan and orange Bundt I opted for this apple and cinnamon Bundt as I had some Bramley apples that needed using up. 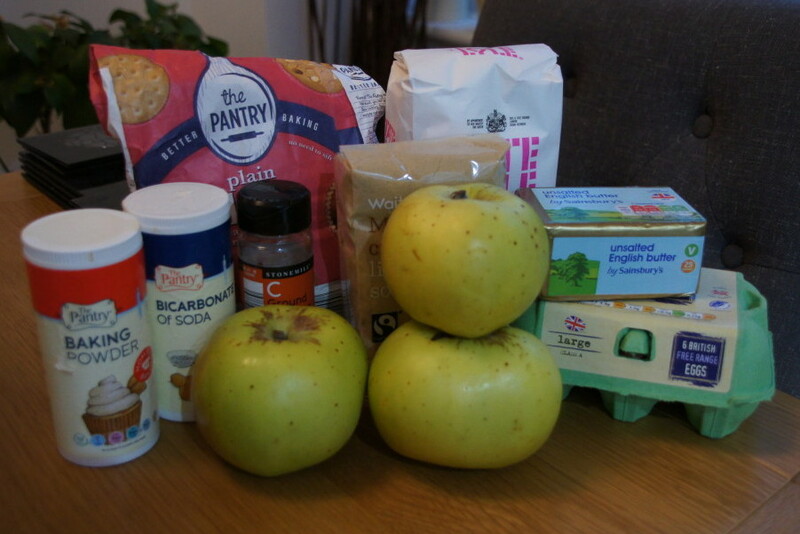 The recipe is by Martha Stewart and is really meant to use Granny Smith apples but I had read a couple of people on Pinterest saying that they had used Bramley apples which had worked just as well. It is an American recipe so the quantities are in cups. If you don’t have any use a conversion website to convert the cups to grams. You will need a 12-cup Bundt tin for the mixture. I would say this is definitely better the day after. We had some for dessert yesterday after it was cooked and I found it a little bit soggy in texture. It was much better today after it had had time to firm up. 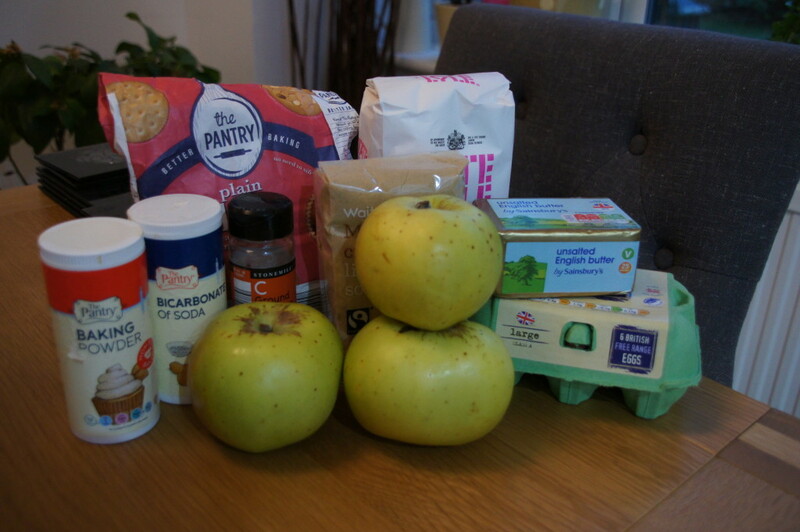 The recipe states to slice the apples which does make them a little difficult to fold into the mixture. I have to say I was a little unsure if slicing them would work but it does (however I don’t think there would be any harm in cutting them into small chunks). The apples and cinnamon combine to create a lovely autumn flavour (if that is such a thing!) and this went down well in the staff room today. 1) Preheat oven to 170C/350 F. Coat your Bundt tin with cooking/release spray or liberally grease with butter. 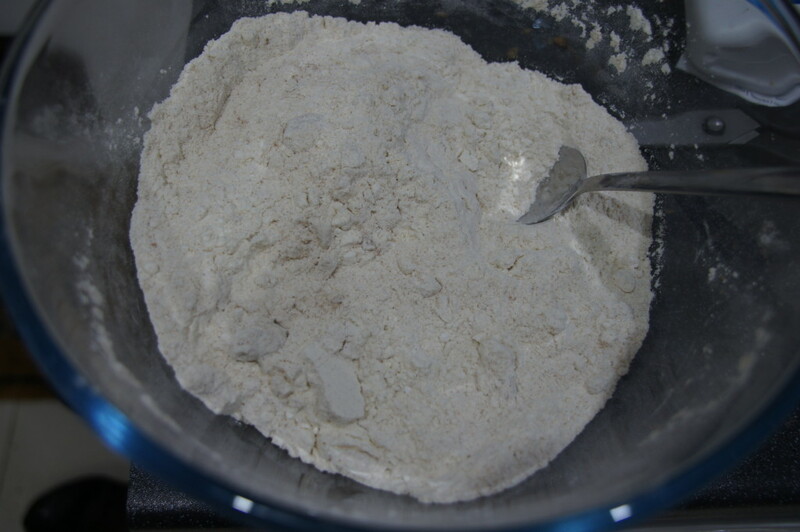 2) In a medium bowl, whisk together the flour, cinnamon, baking powder, salt and bicarbonate of soda. 3) In a large bowl combine the butter, brown sugar and eggs. Whisk until smooth. 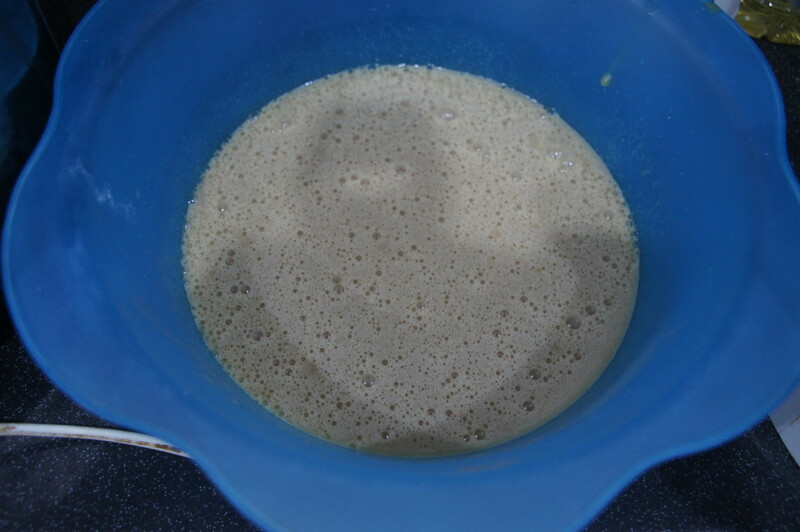 4) Gradually whisk in the dry ingredients just until combined (do not overmix). Using a rubber spatula, fold in the apples. 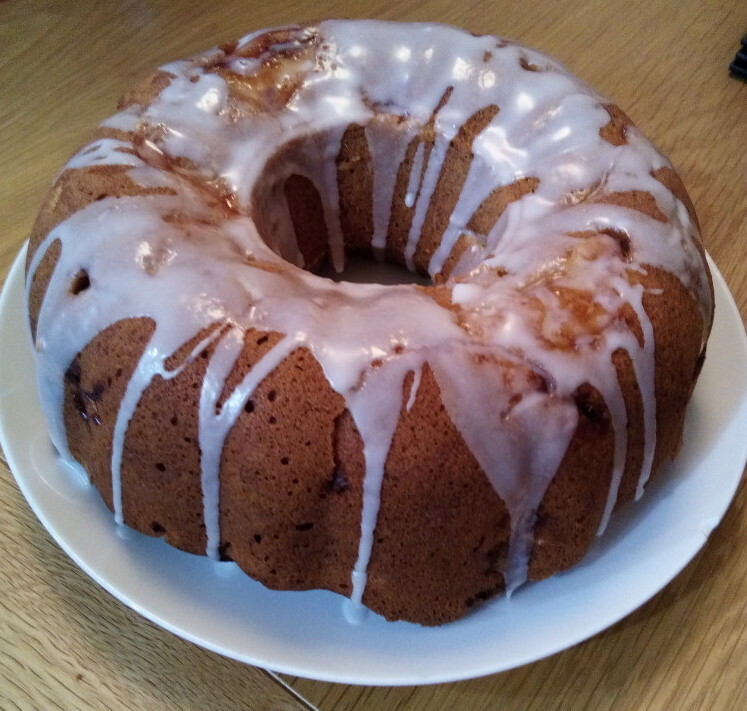 5) Spoon the batter into your Bundt pan and smooth the top. Bake until a tester inserted in cake comes out clean. This will take 50 to 60 minutes. Cool in the pan on a rack for 15 minutes then invert onto the rack to cool completely. 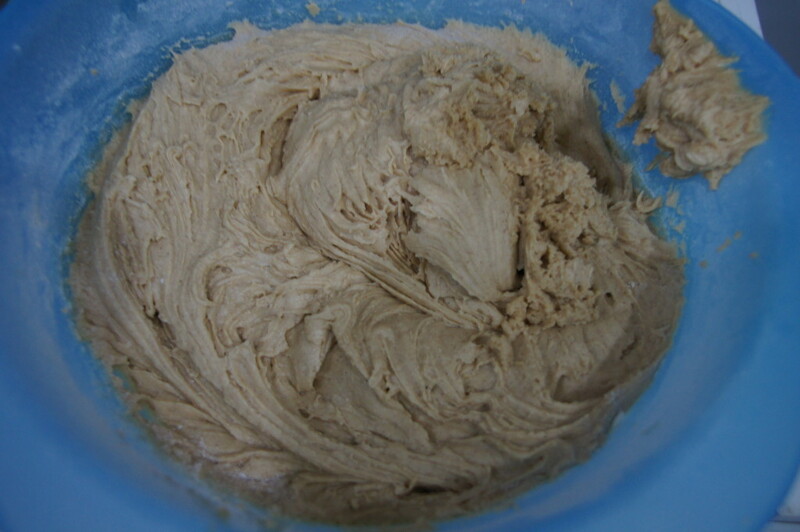 6) Make the icing by mixing together the icing sugar and enough water to form a thick yet pourable glaze. Set the rack with the cake over a piece of baking paper (for easy cleanup). Drizzle the cake with the glaze and let it set before serving.